Cults of an Unwitting Oracle - Aliens, UFOs, & the Paranormal - Chickensomething What Are You Afraid Of? In his lifetime, some people were already finding religious inspiration from Lovecraft’s literary work. He wrote in a 1933 letter that the author William Lumley believed that Lovecraft and his literary pals who used his pseudomythology were “genuine agents of unseen Powers in distributing hints too dark and profound for human conception or comprehension.” Lovecraft recognized the dilemma that he had become an unwitting oracle with some humor: “Bill tells me that he has fully identified my Cthulhu & Nyarlathotep … so that he can tell me more about ‘em than I know myself.” The irony was not lost on Lovecraft. In fact, it confirmed his views that people fall for some of the most absurd religious beliefs: even from his own pen! Nevertheless, this was a portentous moment. Lovecraft’s religious seed had been spilled. Lovecraft also had a way of meshing reality and fantasy in his work. But in his mind, it wasn't magic — it was a confidence trick. In a letter from 1934, he explained to the writer Clark Ashton Smith his belief that "no weird story can truly produce terror unless it is devised with all the care and verisimilitude of an actual hoax." Often, his stories were structured not as fiction but as essays or news accounts: "Just as if he were actually trying to 'put across' a deception in real life." The results were stories that to this day still has people wondering if there isn't an element of truth to them. And around the country, people had fun with it — reports started turning up of entries for the Necronomicon in card catalogs in university libraries and mail order book catalogs. Lovecraft once even admitted: "I feel quite guilty every time I hear of someone's having spent valuable time looking up the Necronomicon at public libraries." ""The deepest levels of the unconscious mind where the Ancient Ones dwell must inevitably surface for all to see."" 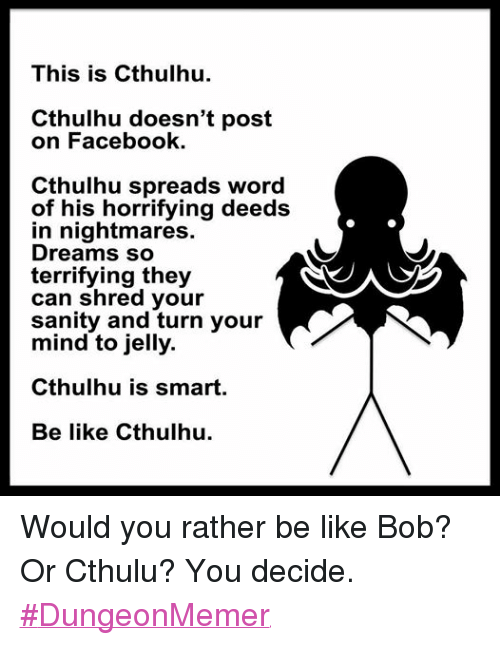 There's a basic template that's considered "Lovecraftian," although it was never actually used by Lovecraft — rather, it was popularized by later writers of the Lovecraftian tradition. In these stories, which are often supposed to be diary entries or essays, the main character discloses the fact that he's learned a secret, or uncovered some particularly powerful form of magic. Although there are plenty of indications that things are getting out of hand, the writer continues to experiment, until he realizes that he has unleashed a monster — which, at that point, kills him. End of story. As a result, you get a peculiar lesson: there are things that simply aren't meant to be known. Knowledge is dangerous, deadly even. It's interesting to note Burroughs' reaction when he stumbled upon a real life Necronomicon: "The deepest levels of the unconscious mind where the Ancient Ones dwell must inevitably surface for all to see," he wrote. "This is the best assurance against such secrets being monopolized by vested interests for morbid and selfish ends." In other words, Burroughs — as a man who believed in magic, and who was in awe of it, believed that the greatest danger posed by the Necronomicon was that it might be monopolized by a select few. In other words, Lovecraft thought we could learn too much, while Burroughs knew that the real danger is that we know too little. Now about the "terrible and forbidden books” — I am forced to say that most of them are purely imaginary. There never was any Abdul Alhazred or Necronomicon, for I invented these names myself. Robert Bloch devised the idea of Ludvig Prinn and his De Vermis Mysteriis, while the Book of Eibon is an invention of Clark Ashton Smith's. Robert E. Howard is responsible for Friedrich von Junzt and his Unaussprechlichen Kulten.... As for seriously-written books on dark, occult, and supernatural themes — in all truth they don’t amount to much. That is why it’s more fun to invent mythical works like the Necronomicon and Book of Eibon. You do, of course, realize that Star Wars has it's own brand of mythos. Maybe the lessons learned from the unwitting oracle helped others to create myths and memes on purpose to form new cults and pseudo-religions. It is interesting how the whole Cthlula myth has many correlating story patterns to a few ancient religions. At least references and arguments can be made to that effect. Time and time again, people have asked whether science fiction author H. P. Lovecraft and notorious occultist Aleister Crowley had heard of each other, or were in any way connected. As the story goes, McMurty was of a high enough rank to name four of the Jeeps under his command. 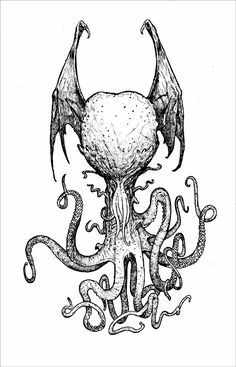 For the first three, he selected mythos names – I recall Hastur, Nyarlathotep, and either Cthugha or Cthulhu. All of these, of course, are gods/aliens/titans from the Cthulhu Mythos. Was Jesus an unwitting oracle? How about Muhammad? Buddha? Others have certainly used them all to propagate their own agendas. Like typology. Using previous beliefs and attitudes from past systems of control. Using common themes to perpetuate both truth and lies. The divine right of kings still lives on today. Only they hide behind the curtain. Unwilling to put themselves on the line like the kings of old. They still use the common man to do their dirty deeds to enhance their powerful ultra-egos. Symbolism and all its wonderful incarnations! The common man gets what they vote for.